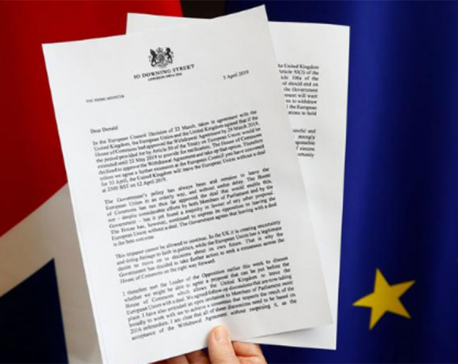 LONDON, June25: Britain's messy break-up with Europe will be the culmination of decades of half-hearted and often hostile relations with neighbouring countries. The nation's troubled ties with the European Union, culminating in Thursday's dramatic referendum vote to leave the bloc, are rooted in its island history and defiant sense of independence. 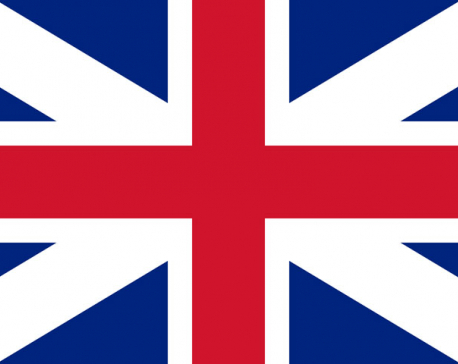 Some Britons still recall with pride that they were last successfully invaded in 1066. The nation's resistance to the Nazis in World War II is also central to British identity, particularly for older voters. "Britain has never really internalised the European project because of its very different history during the 20th century -- it is less frightened of the consequences of leaving," Robert Tombs, a history professor at Cambridge University, told AFP. Politicians at Westminster have also pursued an often two-faced approach to the EU, complicating the relationship even further. "One face is a hostile, sceptical and largely domestic one that has helped drive euroscepticism in Britain," said Tim Oliver of the London School of Economics. "The other face, largely seen in Brussels, is a constructive, engaging one that has seen the UK shape the EU in a large number of ways." In his victory speech on Friday, top Brexit campaigner Boris Johnson, a former mayor of London and ex-Brussels journalist, sought to heal the divide over Britain's identity. "This does not mean that the United Kingdom will be in any way less united nor indeed does it mean it will be any less European," he said. "We cannot turn our backs on Europe, we're part of Europe. Our children and grandchildren will continue to have a wonderful future as Europeans," he added. He said the European Union was "a noble idea for its time" but was "no longer right for this country". Britain initially stood back from post-war efforts to foster European unity, with senior figures believing that its foreign policy goals were best pursued through its empire. But as the empire declined and Britain watched trade flourish on the continent, it applied to join the European Economic Community (EEC) in 1961, four years after its creation. French president Charles de Gaulle twice vetoed its efforts, but Britain eventually joined in 1973. Labour prime minister Harold Wilson called a referendum on membership in 1975 to try to appease the eurosceptic, protectionist wing of his fractured party. He secured 67 percent support for staying in. 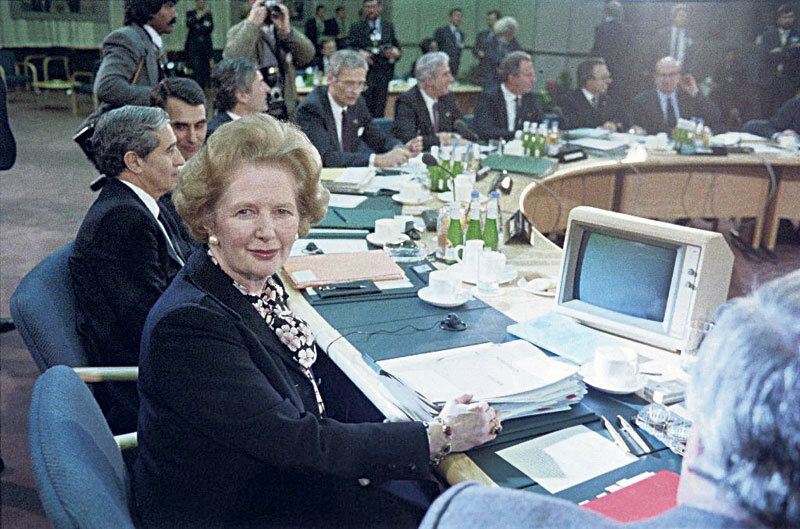 Conservative leader Margaret Thatcher was a cheerleader for EEC membership, seeing it as a pragmatic decision to join a tariff-free trading bloc. But as prime minister from 1979 she was soon riling her European colleagues, demanding a rebate on Britain's EEC contributions which she eventually secured in 1984. She was also fiercely opposed to the bloc's growing political integration, fearing the creation of a "European super-state". Her visceral "No! No! No!" approach triggered her downfall in 1990. It also exposed deep fractures in the Conservative party on Europe, which completely handicapped the pro-European John Major's 1990-1997 premiership and remain unhealed to this day. "Black Wednesday" in 1992 saw the pound tumble out of the Exchange Rate Mechanism (ERM) which had pegged it to the German mark. Then a Conservative rebellion through 1992 and 1993 nearly brought down Major's government over the Maastricht Treaty which turned the EEC into the European Union. In 1997, new Labour prime minister Tony Blair came into office wanting Britain to join the euro but met a wall of domestic opposition born of the scarring ERM experience. Since then, a standoffish, one-foot-in, one-foot-out approach has become the default position for successive governments. Britain remained outside the single currency and the border-free Schengen zone, two of the EU's defining pillars. Against a backdrop of restive Conservative backbenchers and core eurosceptic voters leaking away, Prime Minister David Cameron in 2013 promised a referendum, aiming to resolve the issue once and for all. During the referendum campaign, Cameron sold Britain's place in the EU as a pragmatic marriage of convenience rather than a place where Britain's heart lies. In TV debates, he repeatedly insisted that he was frustrated by the EU and wanted to reform it but stressed that membership was good for Britain's economy.